Replacement Headlight Bulb choices are plenty. Once you decide you're ready to install some aftermarket light bulbs, there are many options to consider in choosing the perfect replacement headlight bulb for your vehicle. Headlight Bulb replacements are available in a variety of brands, wattages, and colors, with each set of headlight bulbs being ideal for a particular purpose. 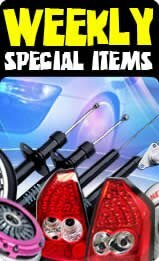 Probably the biggest choice you will make when choosing headlight bulbs is what color to get, as light color will be the most visibly obvious effect on your vehicle. Sometimes incorrectly called blue headlight bulbs because of their blue tint, super white bulbs use the blue as a filter to produce a clean white light. They emulate white sunlight with color temperature of around 5,000K. Since they produce a clean color without any aggressive tint, they are a low key upgrade for a cleaner nighttime drive. They are by far the preferred choice for vehicle's low beam and high beam replacements. They are also the 2nd most popular fog light bulb color option. Purple is the color of choice for you going for the Euro style look. Emulating the purplish tint that is produced by German OEM Xenon HID Bulbs, they provide a stylish white with a strong hint of violet. They are the perfect complement to red hued neon accents (i.e., pink, red, purple). Yellow is the only color of aftermarket headlight / fog light bulb for your vehicle that can be considered a safety upgrade. Unlike other colors of light, yellow light actually works better in snow, fog, and rain since it does not create glare when reflected off of those surfaces. That's why yellow is the go-to choice for your car's fog light or high beam bulbs. They have a small similarity to your OEM headlight bulb color, so they can also be considered a low key upgrade for your vehicle's low beams as well. There are many aftermarket headlight and fog light bulbs on the market, but PIAA and Nokya are hands down the best. Which Bulb does your vehicle's Headlight or Fog light use? Check your vehicle owner's manual to see if it lists the replacement bulbs you should use for your headlights or fog lights (this may not work with aftermarket headlights or fog lights). Using clean gloves and not touching the glass, uninstall a stock bulb and look for a part number (usually printed or inscribed on the base). Check the front of your lamp to see if the part number is inscribed on the face of the lamp below where the bulb rests. If all else fails please use our bulb identification chart and list of identifying features. Please note that while we try to list all types of bulbs, please use caution as there are other types available. Also, you can identify the filament count by looking inside the glass. Each coil of springs is one filament. Dual filament have the high and low beams in a single bulb. Is the price listed for a single bulb or is it for the pair? 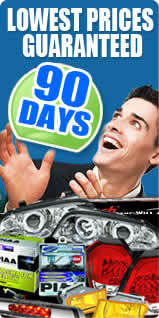 All the PIAA and Nokya bulbs we sell for your vehicke are sold by the pair. By paying the listed price, you get both bulbs. We do not have the bulbs packaged for individual sale. How long will these PIAA / Nokya bulbs last in my vehicle? Do you carry BLUE headlight or fog light bulbs for my vehicle? Considering the price, Nokya bulbs are by far the best bargain we have available for your vehicle's fog lights or headlights. Sylvania are very pale color-wise (even worse than PIAA), Luminics have an overall higher defect ratio, and most other brands do not stack up to Nokya quality (let alone PIAA). Will these bulbs burn the wire harnesses on my vehicle? Your vehicle's stock wire harness is not designed to withstand continuous extended usage. For that reason, we offer Nokya Replacement Harnesses to ensure long term proper lighting on your car. They are also a far cheaper alternative to buying the factory harnesses which lack the heat capacity of the Nokya replacement harnesses. Are these bulbs brighter than my vehicle's stock Headlight / Foglight bulbs? No. Contrary to popular belief, aftermarket bulbs add color to your high beams / low beams / fog lights by adding a tint to the glass. This tint results in a nicer beam, but blocks out a small amount of light, resulting in a slightly dimmer beam than your stock clear Mustang bulb would have. The color comes at the price of a LITTLE bit of brightness, but most people do not notice the difference. Why Should I Buy Aftermarket Bulbs for My vehicle's Headlights / Fog lights? First off, the stock bulbs on your car are going to wear out eventually. Replacing your bulbs with aftermarket headlight bulbs (or fog light bulbs) and keeping your OEM headlight bulbs for spares can be a good way to make sure you are always driving safe and minimize your chances of getting a time wasting fix-it ticket. Also, changing your headlight bulbs can be an inexpensive, quick, and easy way to give your vehicle a nice personalized touch that unlike many upgrades, you can actually SEE while driving. Our 89 Headlight Bulbs Reviews have an average rating of 4.8 out of 5 stars. Every customer can leave a review about our service and the product that was purchased. In order to leave your review for the purchased product, please log into MY ACCOUNT after you receive your order. We encourage all of our customers to take the time to share their experiences with our website with everyone. After one return because of the manufacturer, I ended up getting what I wanted. It was sent quickly and arrived undamaged. This is the wrong part number listed on your website. My 2006 Santa Fe uses 880 bulbs (I found out only after I was ready to swap them out.) I tried, but the 881 just will not fit.